Nothing quite evokes the feeling of summer for me, than the Channel 9 cricket theme song! It's been a bit of an icon for Australian cricket since the late 70's and brings back quite a lot of different memories of summertime fun. Of course with summer, comes the buzz of Christmas in the air. I'm just starting to get my head around Christmas which is creeping up rapidly. We have some of my husbands family coming up for Boxing day, so I'm working out a colour scheme for the day. I'm not normally a 'red' person, but it has grown on me this year. So red, gold, silver and white seems the go for me. I bundled a few things together to see how it looks. I haven't made honey biscuits in years, so gave them a whirl during the week. They taste delicious but they didn't look the best! After leaving the mixture for 6 hours in the fridge, the dough seemed a perfect consistency, so I rolled and cut out many, many shapes, but upon baking they spread and you had to use your imagination to work out what shapes they were to start with!! My decorating skills weren't the best, but here is a look at some of them....very rustic!! BUT as I said they taste great...yum! We cleared some of the furniture out of our family room during the week as we had the carpet cleaned. There were quite a few stains around where the dining room table was and it's come up a treat. The impatiens and lobellia in my wheelbarrow are growing really quickly and will hopefully fill the whole area. My roses out the front and blooming really well. Nearly time to dead head some of them. 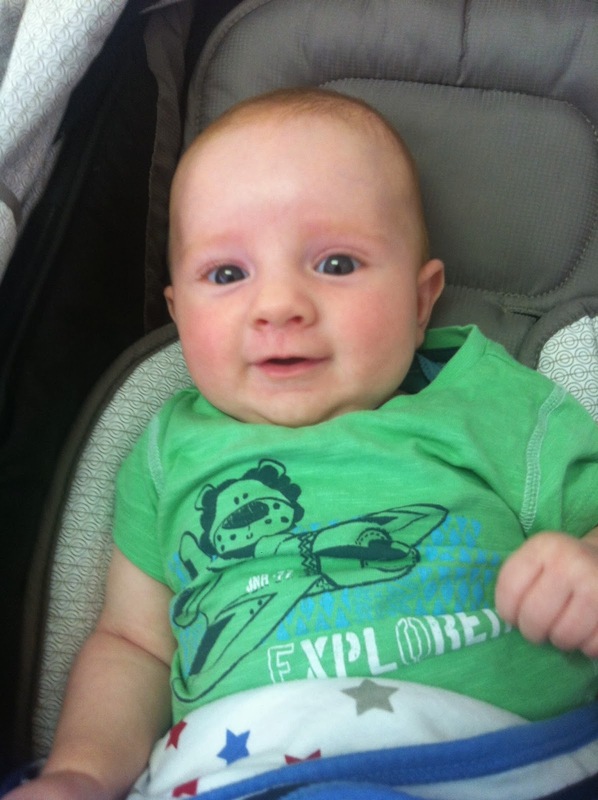 And of course our gorgeous little grandson is growing fast as well. He's 11 weeks old now and is freely giving smiles and has just started giggling. Had some family up the other weekend, so we spent some time again at LaVilla for a yummy afternoon tea! Have got a few Christmas break-ups over the next week, so if I don't make it back to do a blog before then, I hope your Christmas is an enjoyable one. I think your bickies look fab, if they were too perfect they wouldn't be home made with love. My goodness the little chap doesn't look so little anymore. I remember those Honey biscuits, don't worry mine spread too. 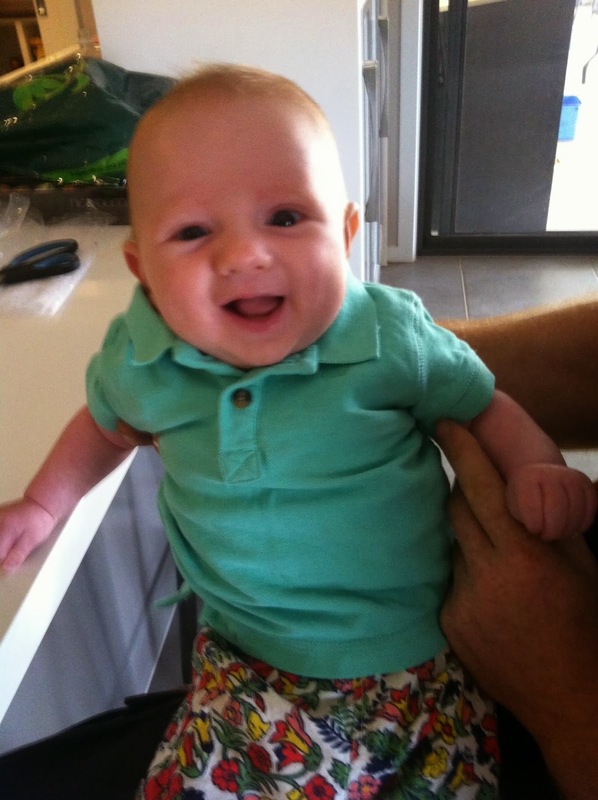 The little man is gorgeous ,I bet he gets lots of cuddles.